Sleepy Hollow: cancel or keep it? A couple weeks ago, FOX unveiled their first new TV series of the season, Sleepy Hollow. Is this one worth keeping or should it be cancelled instead? Sleepy Hollow follows the Ichabod Crane (Tom Mison), a patriot from colonial times who wakes up in the present. 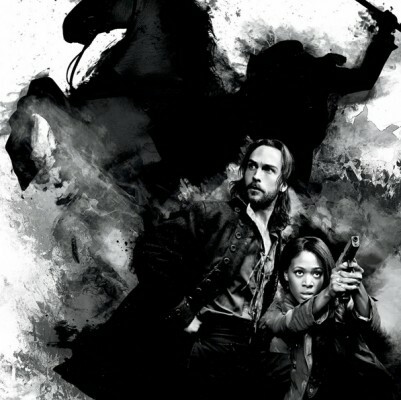 He partners with a female African-American sheriff (Nicole Beharie) and together, they try to stop the Headless Horseman and other dark supernatural forces. Others in the cast include Orlando Jones, Katia Winter, John Cho, and Richard Cetrone. The show premiered on September 16th to a very healthy 3.5 rating in the 18-49 demographic with 10.10 million total viewers. Not only did the debut win its timeslot but it also had the best demo rating of the night. In week two, the numbers fell by 11-15% to a 3.1 in the demo and 8.59 million. This wasn’t too bad for a second week. Most new shows fall that much or more and Sleepy Hollow was now airing opposite much tougher competition like 2 Broke Girls, The Voice and Dancing with the Stars. Last night, the third episode fell again — but not by much — and garnered a 3.0 rating with 7.97 million viewers. Sleepy Hollow is currently FOX’s highest-rated series by far, averaging a 3.2 in the demo with 8.89 million. If the ratings level off (or rise) then the network has a hit. Unless the ratings start falling quickly, I expect FOX to give the series a full season order in the next couple weeks. If the ratings continue to be positive, a second season is a lock. But, what do you think? Do you like Sleepy Hollow? Are you still watching? Cancel or keep it? Please don’t cancel Sleepy Hollow. I love this show. There’s not many good shows on anymore. Sleepy Hollow is the best show out there. PLEASE PLEASE DO NOT CANCEL SLEEPY HOLLOW!!!! I truly hope they renew sleepy hollow! I look forward to and love watching this show. It’s so exciting and different from any show out there! The characters that play the parts are wonderful and do a great job! Please renew this show ! It’s truly worth watching!! I love Sleepy Hollow and hope the producers do a third season. All the castmembers are great. If I were the producers I would think about Ichabod Crane and Abby developing a relationship. I believe this would spike the ratings. I always tape the show. I was shock when I saw that they were only two episodes left. Why? I love this show. To me one of the top best on t.v. I love this show. Please don’t cancel if. I love the show. It’s not like any other show on TV. We do not have any pay television provider, only free stations. It is the ONLY show I never miss. I couldn’t wait until the first season became available on amazon to get it for my son. He &his wife are fans now also and have shared the DVD with friends who became fans. None of them have pay TV. I think more people are ditching cable and pay TV ….realizing that the rising cost isn’t worth the programs..especially with great shows like Sleepy Hollow available on free channels. I agree. We have slowed down in our viewing of many shows. The stations often cancel the good ones and come up with more reality shows or extremely vulgar sitcoms. We watch a lot of retro shows to avoid things unfit for youth. I am very disappointed you discontinued SLEEPY HOLLOW!!!!!!!!!!!!!! I WANTED TO FIND OUT WHAT HAPPEN AND WAS VERY UPSET WHEN I FOUND OUT WHAT YOU DID. NOW WE HAVE TO WATCH THIS STUPID OTHER SHOW. “Sleepy Hollow” was NOT “discontinued”… Season 1 had 13 episodes, which wrapped up last month… Season 2 starts in the fall!!! The season finale is next Monday and I sincerely hope this fantastic show will be RENEWED for many more seasons! I always knew the story of the Headless Horseman but it never hit home exactly what it was all about till I started watching Sleepy Hollow! FOX is FINALLY coming up with some decent shows other than the ridiculous so called comedies they have on. KEEP Sleepy Hollow FOX and you will have a faithful viewer of the series!!! !